The reaction of the French press—and of public opinion, so it appears anecdotally (no actual polls out yet)—to DSK’s TF1 interview has been harshly negative. 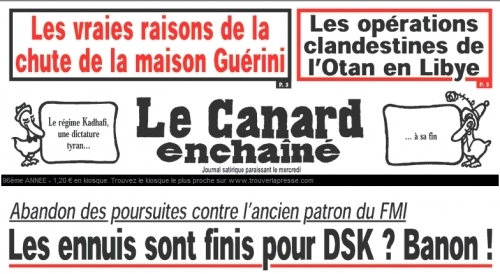 Now today’s Canard Enchaîné has a devastating front page commentary on the Socialist party’s one-time favorite. No one in the French press skewers politicians as ferociously as Le Canard’s editorialists. And with such consistently brilliant headlines. Le Canard has a minimalist web site and with almost no content, but does reproduce the front page. One may read the commentary (in tiny print, though readable) here. On p.2 we learn that even (ex-)strauss-kahniens in the PS were privately dismayed by their (ex-) champion’s performance on Sunday. Dur, dur. Haven’t heard from BHL yet. 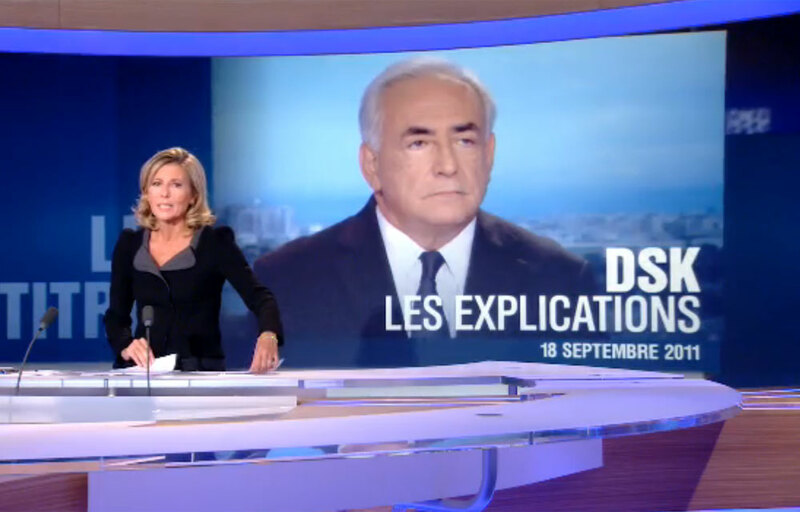 UPDATE: TNS Sofres has a poll out (September 22) on public reaction to the TF1 interview: for 31% it lowered their image of DSK, for 56% it was unchanged, and 4% said the interview improved it. It’s hard to fully interpret this, as one would need to know how these people felt about DSK before the interview, i.e. how many of that 31% already had a negative image of him. 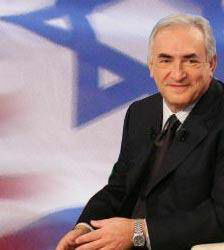 It is clear in any case that the interview did not improve DSK’s image, so as an opération de com’ it was a failure. The poll also has the percentage of Frenchmen who think there may have been a plot. Affligeant. He was better than I thought he would be and said what he had to say, from his standpoint at least. Claire Chazal was also better than anticipated, as she asked him straight off the bat what happened in suite 2806, though this being France, did not press him with follow-up questions, try to nail him, or play gotcha. DSK, clearly understanding his problems with public opinion, was contrite and admitted his “faute morale” (moral failing) more than once. But evoking the possibility of a “piège” (trap) or “complot” (plot) was both gratuitous and ridiculous. 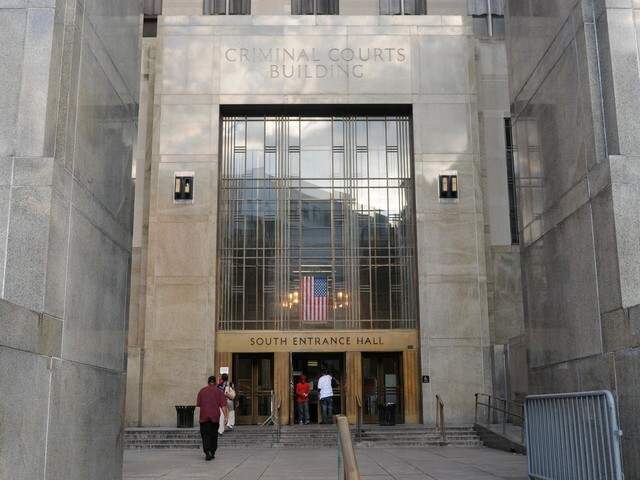 It was also a bit rich for him to express shock at the role money plays in the American judicial system, given that he was precisely a beneficiary of this aspect of the system. If it hadn’t been for his wife’s money, he’d likely still be in Riker’s Island. I doubt he was being untruthful in anything he said about what happened with Nafissatou Diallo, including his assertion that it was not a “rapport tarifé” (i.e. a sexual act performed for a fixed or explicit monetary price). In the literal, juridical sense I am sure he was telling the truth. We will certainly never know what happened between the two but this is the only scenario that makes any sense to me: Nafissatou D. turned occasional tricks with moneyed clients of the hotel and sought the assignment to DSK’s suite for this purpose (and it may not have been their first meeting, given that he had stayed at the hotel before). Nothing is negotiated or even said in these encounters. The act is performed, the chamber maid leaves the room, the client leaves a generous “tip” ($200, or whatever the going rate is for these things in midtown Manhattan), and she comes back to collect it. 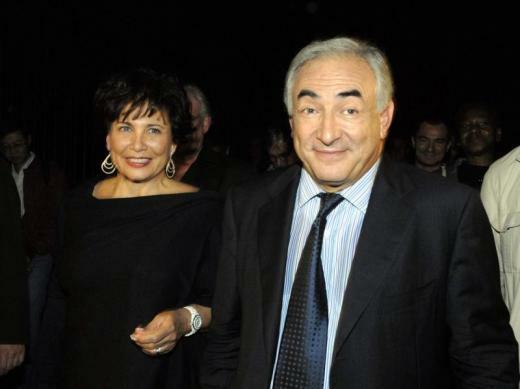 But this time DSK stiffed her, or didn’t leave enough (maybe he discovered he didn’t have enough cash in his wallet; he had neglected to go to an ATM the day before, or something like that). ND was furious and spontaneously concocted the story, without thinking through the consequences that this would have for her. Once her superiors at the hotel took charge she got caught in the engrenage. After seeing her overly theatrical interview on ABC, I knew she was b.s.-ing. I have no idea if DSK’s TF1 performance will change perceptions. I hope not, as he doesn’t deserve it. The interview may be viewed here. 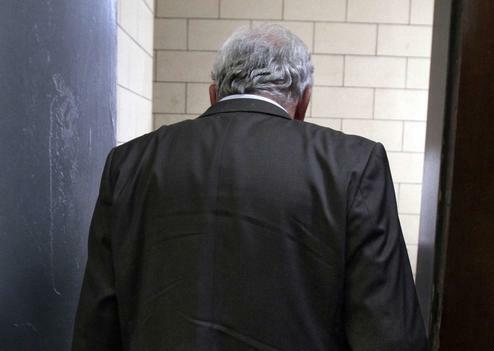 During the interview DSK waved the Recommendation for Dismissal of the New York County DA’s Office. Here it is. UPDATE: Art Goldhammer points out—correctly—that DSK’s spin on the DA’s report distorted its meaning. This was clear to me when I relistened to that part of the interview after finding the report and reading it. The reaction in the French media on DSK’s performance has thankfully been mostly negative, with many seeing it as a PR operation and lacking sincerity. The former is definitely the case. As for the latter, perhaps. I don’t know. It’s a matter of perception. E.g. the NYT’s article made reference to DSK’s “gritted teeth,” which is a purely subjective interpretation on the NYT reporter’s part. I didn’t notice DSK’s teeth. I don’t know what else he could have said in the interview, particularly in view of the judicial inquiries that are still underway. Art Goldhammer is quite right about DSK’s modest political career, which electorally has involved but a couple of terms as deputy from Sarcelles plus a short stint as mayor of the same. No great shakes. His national political reputation was mainly earned as Minister of Industy and Foreign Trade (1991-93), when I first heard about him, and above all as Minister of Economy and Finance (1997-99) in Lionel Jospin’s gauche plurielle government. Though his ministerial career was suddenly cut short on account of the ridiculous Cassette Méry affair—which turned out to be nothing at all—he earned high marks at Bercy and was considered even on the right as having been one of the best finance ministers France had had since at least the early ’70s. I certainly thought so, though revised my view somewhat after reading this not entirely flattering biography from 2000 (which focused on his public, not private, life). I still remained a strauss-kahnien though, malgré tout. 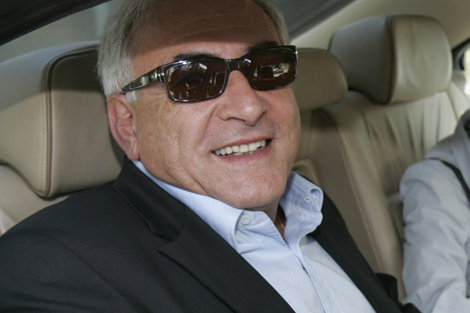 But in terms of his electoral mandates and leadership positions in the PS, DSK could not boast the same record as other party éléphants, such as Laurent Fabius, Martine Aubry, or even François Hollande. And he did get annihilated (along with Fabius) by Ségolène Royal in the 2006 PS primary. After all, Sinclair was desperate to leave D.C. and wanted the presidency for him more than anything. In Strauss-Kahn, Sinclair saw the ultimate candidate. Her commitment to Judaism had deepened, and when her father passed away, she even decided that she would recite the Mourner’s Kaddish, or the Prayer for the Dead, for him. “My father did not have a son, so I took on the responsibility,” she has said. “Every day for a year, I visited the synagogue to recite the Kaddish, accompanied by my mother.” According to friends, she always wanted to prove that, more than 75 years after Léon Blum became France’s first Jewish prime minister, the French would again be willing to elect a Jew. Such a thing was worth the sacrifice, because it would make for une formidable revanche sur l’histoire—a revenge on history. This is not a revelation. We already knew this about Anne S., of her pushing her husband to run and wanting to see him, as a Jew, elected Président de la République, to get that revenge on history. Well, I totally sympathized with this. The symbolism of a Jew in the Élysée—as opposed to merely prime minister, who is not directly elected—would have been as powerful as Obama, a person of color, winning the American presidency. And it would have likely happened (and bothered fewer Frenchmen than the not insignificant minority of Americans who still cannot abide the sight of a non-white man in the White House). We won’t get to see that next year, which is too bad. Encore une bonne tribune dans Libé d’aujourd’hui. La dernière phrase retient l’attention.